I believe they meant well. They wanted to express their devotion to God in a dramatic way, but it is not man’s place to decide when, where, or how to worship God. Perhaps the most difficult aspect of this story to understand is Moses’ instruction to Aaron and his remaining sons. They were not allowed to touch the bodies nor show any grief or sympathy for the two dead men. They appear to have been in the middle of consecrating the Tabernacle for its first use, and Moses said that if they were to leave the Tabernacle or disrupt the ceremony before the consecration was complete, they would die. That’s not because they were weak, but because there are dangerous spiritual forces at work in the world, both good and evil. God allows us a wide margin of freedom in showing our love for him, as fathers do their children, but every good father imposes rules for the health and safety of his family. There are some tasks in a house which are only appropriate for more mature children and only appropriate at certain times and when done in certain manners. There are also tasks in God’s kingdom which he has set apart with more specific guidelines, and not all of them have to do with the Levitical Priesthood. In fact, most of them don’t. God also gave us instructions on crime and punishment, clothing, diet, and family relationships. None of his instructions are arbitrary. They are all given for our benefit, to keep God’s house healthy and family safe. He appointed men to be the heads of their wives and the spiritual coverings of their houses, for example. When they abdicate their authority, their families suffer. When women attempt to take on those roles, they are more likely to be harmed than blessed, not because women are weaker, but because they are the wrong tools for the job. A voltmeter is a great tool, but it makes a very poor hammer. When our hearts lead us to actions contrary to God’s design, they deceive us and leave us vulnerable to consequences which we might not foresee or to attacks against which we are not prepared to defend. It’s better to accept God’s design without understanding than to rely on your own understanding and be burned like Nadab and Abihu. When a wife consciously rejects her husband’s covering–or a child rejects his father’s or, indeed, when any person rejects the covering of God’s instructions–based solely on the feelings in her heart she must accept the consequences of her own actions. Courts and other sympathizers who would blame her husband for her actions insult the woman by treating her as completely incapable of controlling herself, and they treat her husband unjustly. Nadab and Abihu walked their own path instead of the one that God had mapped out for them. No one forced them to act outside the covering of their priestly calling. They were not deceived by anything outside themselves, and no one else could accept any blame. They followed their hearts and they died for it. 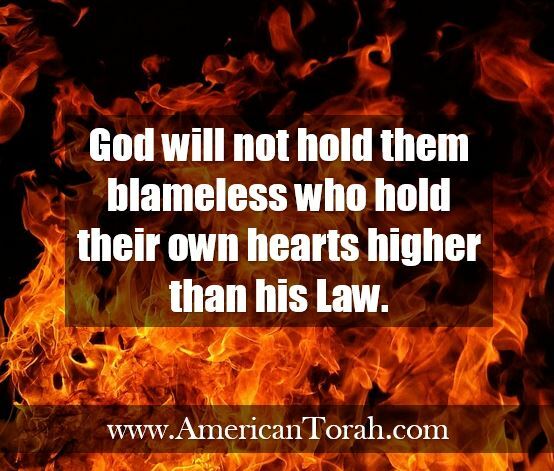 God will not hold them blameless who hold their own hearts higher than his Law. 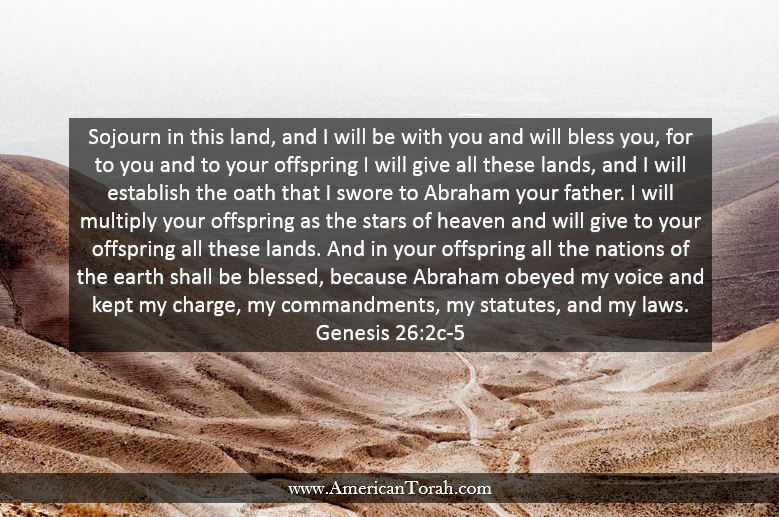 Because of Abraham’s faith that was made manifest in his obedience to God’s instructions and laws, God made promises to both Abraham and Isaac, promises that neither of them ever saw fulfilled in their own lifetimes. God said that he would give them the land that we now call Israel, yet they were both wanderers in a land occupied by foreigners all their days. God said that he would multiply their descendants as the stars of heaven The promise was first given to Abraham, and only his son Isaac inherited it. LIkewise, of Isaac’s two sons, the inheritance passed by Esau in favor of Jacob. After three generations, Abraham’s descendants numbered the vast total of one. Even so, Abraham, Isaac, and Jacob kept their faith in God’s name. They trusted him that those promises would be fulfilled when the time was right, and God’s timing can’t be rushed. He sees more and farther and deeper than we ever will. His understanding of the movement of time and men’s hearts is perfect. God has made promises to all of us who have pledged our allegiance to Yeshua and joined ourselves to Israel, and sometimes it seems as if they will never come to fruition. It’s easy to get discouraged and distracted when the light at the end of the tunnel never gets any brighter. Fortunately, God’s light is always around us. It’s in the long history of his faithfulness to his word, the beauty and wonder of his creation, and the wisdom of his Torah. Remember also that the light of his promises can never be dimmed by us. No matter how un-Christ-like we might feel or actually be at times, God will never break his word. Judgment will come, balance will be restored, and the bill for our ultimate salvation is already paid in full. Not because of anything we have ever done or could do, but because Abraham was faithful to obey God’s voice, to keep his charge, his commandments, statutes, and laws, and–more importantly–because God has said it. God is not man, that he should lie, or a son of man, that he should change his mind. Has he said, and will he not do it? Or has he spoken, and will he not fulfill it? Behold, I received a command to bless: he has blessed, and I cannot revoke it. He has not beheld misfortune in Jacob, nor has he seen trouble in Israel. The LORD their God is with them, and the shout of a king is among them. 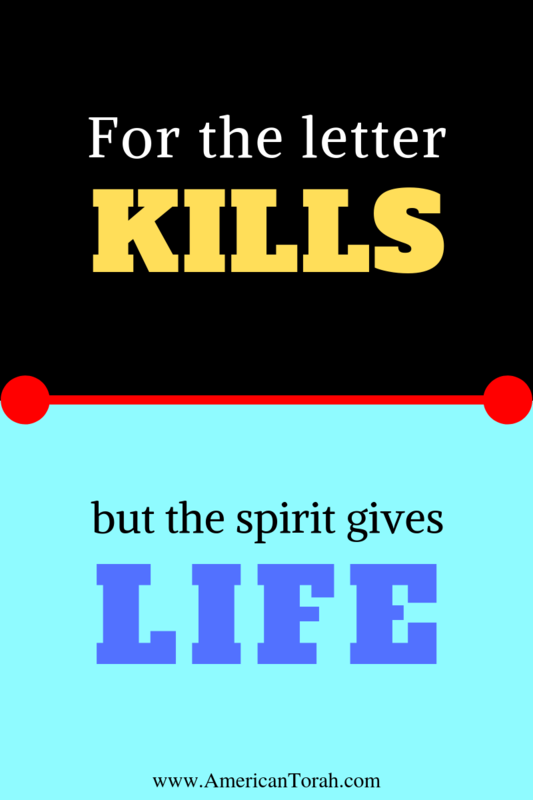 The Letter Kills, but the Spirit Gives Life… What Did Paul Mean? …Our sufficiency is from God, who has made us sufficient to be ministers of a new covenant, not of the letter but of the Spirit. For the letter kills, but the Spirit gives life. Now if the ministry of death, carved in letters on stone, came with such glory that the Israelites could not gaze at Moses’ face because of its glory, which was being brought to an end, will not the ministry of the Spirit have even more glory? For if there was glory in the ministry of condemnation, the ministry of righteousness must far exceed it in glory. Indeed, in this case, what once had glory has come to have no glory at all, because of the glory that surpasses it. For if what was being brought to an end came with glory, much more will what is permanent have glory. The passage above is often treated as if it’s contrasting the Old Covenant with the New or God’s Law with a new “Law of the Spirit”. Interpreting it to mean that the Old Covenant or God’s Law kills, while the New Covenant or new law gives life is natural in light of the antinomian standard of modern Christian theology, but, as with all erroneous interpretations of Paul, it sets the reader up to get hopelessly lost in contradictions. For we hold that one is justified by faith apart from works of the law….Do we then overthrow the law by this faith? By no means! On the contrary, we uphold the law. So the law is holy, and the commandment is holy and righteous and good. Did that which is good, then, bring death to me? By no means! It was sin, producing death in me through what is good, in order that sin might be shown to be sin, and through the commandment might become sinful beyond measure. For we know that the law is spiritual, but I am of the flesh, sold under sin. For I delight in the law of God, in my inner being. But we know that the law is good, if a man use it lawfully. Not only has God’s Law not been superceded by the New Covenant, but God’s Law is an inherent part of the New Covenant. Without God’s Law, there is no New Covenant, for one of its central promises is the writing of the Law on the hearts of God’s people rather than on stone. The content of the Law doesn’t change from one covenant to the other, but only the medium on which it is written. Let’s take the 2 Corinthians passage phrase by phrase. We know that we are capable of the mission that God has assigned to us, because God is the one who has assigned it. He knows us and what we are capable of, and he would not have given us a commission to preach the good news to the whole world if he did not believe we were capable of it. …not of the letter but of the Spirit. God has not commissioned us to carry only the news of the coming Kingdom, but also its fullest meaning, its wonder, and the hope that it carries with it to transform us into new creatures able to serve God with our whole beings. We need to understand the Scriptures and God’s Law in such a way that we are able to apply it in new circumstances that aren’t addressed by the letter without creating unintended burdens as the Pharisees have done. It’s not enough to tell people that Jesus died for their sins without also giving them reason to hope that this means something real. We must allow God to soften our hearts into suitable media for his Law so that we are able to help others do the same. We have not been commissioned to teach men to obey, obey, obey, but to teach them to become sons of God who love him and desire more than anything to live as Yeshua lived. For the letter kills, but the Spirit gives life. If we only teach men do this and don’t do that, we aren’t doing them any favors. We’re just setting them up for a lifetime of stressing over rules. Striving always to live between the lines is like treading water. Sure, you’ll avoid drowning for awhile, but you’ll never reach the shore either. Eventually you’re going to tire and sink despite your best efforts. Yes, God’s Law contains rules, and they’re important, but the rules can’t save anyone’s soul from eternal damnation. Our goal shouldn’t be to mark off all the boxes on a checklist, but to become the kinds of people who no longer need the checklist, to have God’s Law written on our hearts instead of only in our memories. God’s Law is a great thing no matter what it’s written on, but the glory of the written law was always intended to be temporary. Not the law itself, but the necessity of it being written. …will not the ministry of the Spirit have even more glory? For if there was glory in the ministry of condemnation, the ministry of righteousness must far exceed it in glory. Indeed, in this case, what once had glory has come to have no glory at all, because of the glory that surpasses it. For if what was being brought to an end came with glory, much more will what is permanent have glory. To live according to the letter of the Law in either the Old or the New Covenant is to live by rote, to be bound on every side by blind regulation and empty ritual. To live according to the spirit of the Law is to live by faith and in harmony with the ultimate role for which we were created. In truth, there is no conflict between the letter and the spirit of the Law. They speak in unison. The conflict comes when we attempt to live by the letter without the spirit. Then we are in conflict with ourselves because we are holding ourselves to an impossible standard. No one, except Yeshua, has ever been able to live out the letter of the Law perfectly, and he only did so because he always lived by the Spirit. The Spirit has no existence apart from the Law because the Law is a reflection of God’s own character. Yet the Law is empty without the Spirit, a body with no life in it. The eternal state to which we aspire and to which God has ordained us is that of having his Law written in our hearts, so that it is no longer necessary for anyone to study and memorize it in the form of words and symbols. When we live in the Spirit, we keep God’s Law naturally and inevitably because it has become who we are. We will live in purity of knowledge, of understanding, and–most glorious of all–of relationship with our Savior. Moses said that if we keep God’s Law, we will live by it. The letter alone kills, but Yeshua took the eternal penalty of our disobedience on himself, so that the Spirit can write the letter on our hearts, and we can live to the fullest, as God intended us to live. Martin Luther believed that the Epistle of James shouldn’t be in the Bible because it contradicted the letters of Paul. Fortunately, most theologians for the last 2000 years have disagreed with him. On the contrary, James might be the most earthy and “real” of all the Apostolic letters in the New Testament. 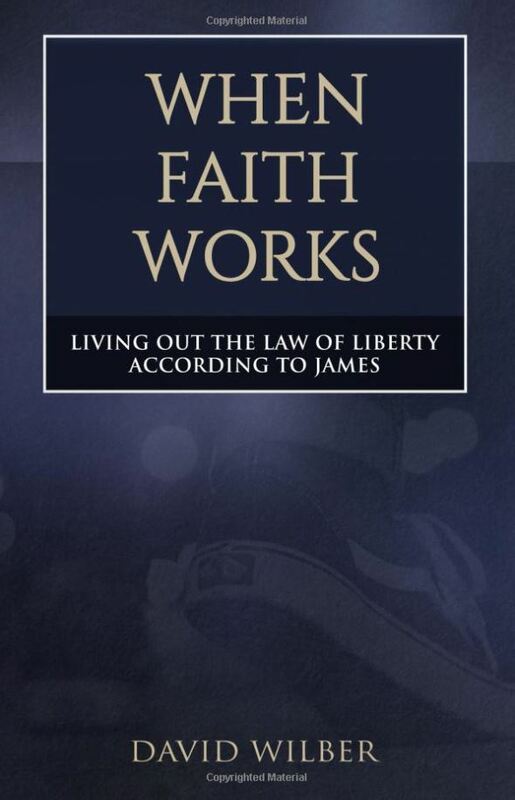 In his new book, When Faith Works: Living Out the Law of Liberty According to James, David Wilber examines James’ letter, passage by passage, and in the process, illustrates two things beyond any doubt: First, that James aligns perfectly with the rest of Scripture, both Old and New Testaments. Not only does James not contradict Paul, but they complement each other nicely. Second, that James is imminently relevant to the daily lives of believers in all nations, all cultures, and all strata of society. Whatever your pain, whatever your temptation, whatever your joy, James wrote for you. If you have ever wondered if Luther was right when he called James an “Epistle of Straw”, you need to read this book. Wilber proves that James is among the most relevant, consistent, and impactful of all the Epistles. When Faith Works is a great book. I highly recommend it. A follower on Twitter asked me about Colossians 2:16 last week. Does Colossians 2 Cancel the Torah? Does this mean all of God’s commandments about food and drink, sabbaths and feast days, etc., have been nullified? Not unless you think God’s instructions are “elemental spirits of the world”, “human precepts and teachings”, and “self-made religion” with only “an appearance of wisdom”. Certainly many atheists would agree with that, but I don’t see how anyone who accepts the Bible as authoritative could. The elevation of the forms of religion over the substance. See verse 17. For example, many people were teaching that new converts must be circumcised in order to be considered truly saved. There is NO commandment in Torah for a grown man to be circumcised in order to be considered an Israelite. You can’t eat the Passover unless you are circumcised, but otherwise, the only commandment is to circumcise newborn boys on the 8th day. This is directly related to the ruling of the Jerusalem Council in the Book of Acts. New converts shouldn’t be expected to keep the whole Torah perfectly, let alone all of the man-made rules that we have added to Torah. Start with the basics and learn the rest as you go, not letting anyone condemn you for the things you haven’t mastered yet. The elevation of man-made tradition over God-given instruction, whether it be Christian, Jewish, or pagan. As an example, consider the rabbinic rule against eating dairy and meat together. Some people will say you are sinning if you eat a cheeseburger, but this is based only on the opinion of some rabbis, not on what the Torah actually says. Other examples would be the sacraments of the Roman Catholic Church, mandatory attendance at church, the celebration of Easter, etc. These are man-made traditions with little or no foundation in Scripture, yet many will insist you can’t possibly be a Christian or a Jew unless you follow the Pope or the rabbis or your local pastor instead of the clear commandments of God. Don’t let those people pile their rules on your shoulders as if you are beholden to their weak consciences. Their rules, no matter how wise they sound, are not even a “shadow of the things to come”, but only a shadow of their own minds. And don’t let people condemn you for being imperfect. God knows we all sin. We all fall short. I think him all the time that my salvation does not depend on my perfect obedience, but on my repentance and on his grace to forgive. Live in peace with those people as much as you can, but don’t let them poison your relationship with the Father, with Yeshua, or with your fellow believers. Is saying “Amen” speaking the name of a false god? A couple of days ago, I saw someone on Facebook expressing dismay about the word “amen”. Someone had told them or they had read somewhere that “amen” comes from the name of the Egyptian god Amun Ra, and he was feeling very convicted about using it to end every prayer. He wanted to pray in Jesus’ name, not Ra’s! I do understand, and I have struggled with similar questions. 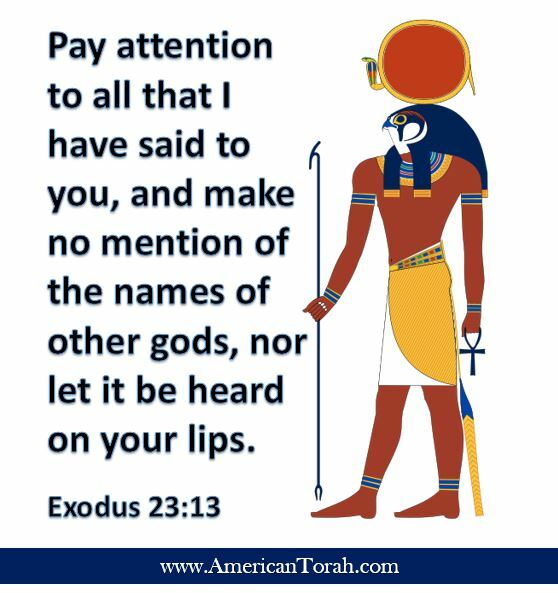 Exodus 23:13 says that we shouldn’t allow the names of pagan gods to touch our lips. I don’t like using the names of the days of the week because they are named for pagan gods, and, many years ago, I once tried to replace them with “first day”, “second day”, etc. I soon realized that this presented another problem: Nobody understood me, and I spent all my time explaining what I meant by “second day”, instead of just saying “Monday”. If I’m unable to communicate with people, then I won’t be able to function as an effective community member, and God’s Law can’t be kept alone. We need community in order to be faithful to God. Through time and further study, I also came to understand that the concept of “name” in Scripture is much more complex than a mere label we attach to someone. Calling on the name of YHVH or praying in the name of Yeshua (Jesus) doesn’t mean only making the sounds of the spoken names. It means calling on the authority, promises, and reputation–the whole person–represented by the labels. Those spoken and written labels, YHVH and Yeshua, ought to have meaning to us, and the power is in the meaning, not the letters and sounds. The tetragrammaton isn’t a magical incantation that has power or authority over God. When we call on his name, we aren’t just saying Yahweh or Jehovah or Yahuah (or whatever you use), we are calling on the totality of who he is. I don’t believe that God has a native language that would make any sense to us. Human languages are for humans, not him. We don’t have to speak any particular language in order to communicate with him. He understands them all, because he understands us. He understands us just as well in Mandarin Chinese as he does in Spanish or English, and he knows that someone speaking Mandarin isn’t speaking Spanish..
As we speak, we create audible sounds, and every sound we can make means something in some other language, probably in several. The sound “wee” is a first-person plural pronoun in English, but it means “yes” in French, and it’s also the name of a video game console. I’m sure it has at least a dozen meanings in as many other languages. There is probably a false god out there that goes by the name “We”. Fortunately, we don’t need to care about that, because when we say that word, we aren’t speaking to or about a false god. Since we’re speaking English, we’re using it as a collective pronoun. If I learned that there really was a god named We (or Wii or Oui or Wee), it would be foolish to eliminate the pronoun, we, from our vocabulary, because nobody would understand us in English anymore. That’s not a problem, though. Just because there are any number of other languages that have identical sounding words, doesn’t mean we’re speaking the words of any of those languages when we make the same sound. God knows that, when we say “we”, we’re not speaking about or to that false god. He knows we’re speaking English and that we’re not calling on the names of other gods or referring to them in any way. The same is true of “amen”. There is no actual linguistic connection between the name of an Egyptian god and the Hebrew word “amen”. None, whatsoever. Anyone who says otherwise is trying to pass off an old urban myth as established fact, but age and repetition doesn’t make a lie any more true. How can I be so certain? God commands people to say “amen” in Numbers 5:22 and Deuteronomy 27:14-26. If anyone would know if the word was connected to an Egyptian deity, God would. We aren’t speaking ancient Egyptian when we pray and we aren’t referring to a false god in any conceivable way when we say “amen”. God’s native language isn’t Egyptian, and he won’t be offended if some English or Hebrew words sound like some Egyptian words. And, of course, the names of the days and some of the months. I’m sure there are many hundreds more. I hope you can see just how crazy things could get if we seriously tried never to even inadvertently speak the name of a false god. I really wish we could change the names of our days, which, unlike “amen”, really are connected to the names of pagan gods. I seriously hope Yeshua fixes that when he comes back. In the meantime, I content myself in knowing that I am not referring to Thor, Freya, or Saturn in any meaningful way when I talk about my plans for the week. All days belong to YHVH, and Thursday is just a word. Don’t worry about whether an English or Hebrew word sounds like the name of some obscure pagan god. That’s a distraction that our real enemy throws in your face to keep you from focusing on what’s really important: worshiping the Creator and doing tangibly good things for your neighbors. In the Torah portion called Pekudei, (Exodus 38:21-40:38), Moses recorded twenty times that the Israelites did exactly as Yahweh commanded. They made the furniture of the Tabernacle. They wove and embroidered the curtains and the priestly garments. They erected the structure, anointed its contents and its priests, and put the various articles in their assigned places. Finally they lit the menorah, placed the bread, and burned the incense. All exactly as Yahweh had commanded. Take a moment to check out these interesting observations about the twenty statements of obedience in this parsha. The first time, the people did according to what Moses commanded. The next eleven times, the people did according to what Yahweh commanded Moses. The next seven times, Moses did what Yahweh commanded. The next time, Moses plus the Cohanim (priests) did what Yahweh commanded Moses. Finally, Moses completed the work. Twelve times, the people did what they were commanded: once by the command of Moses and eleven by the command of God delivered through Moses. Twelve is the number of God’s people. There are twelve tribes, twelve gates, and twelve disciples. Except when one of those disciples followed the commands of men instead of God. Seven times, Moses alone did as he was commanded directly. Seven represents perfection. David reminded us over and over that God’s Torah is perfect, and Moses delivered God’s Law perfectly, just as God intended it to be. Then he commanded us not to alter it. Yeshua reiterated that command when he said that anyone who relaxes even the tiniest part of it will be called the least in heaven. Psalms 19:7 The law [Hebrew: torah] of the LORD is perfect, converting the soul: the testimony of the LORD is sure, making wise the simple. The final statement of obedience in Exodus 40:32 doesn’t stand on its own. It is the eighth statement of Moses’ obedience, eight being the number of new beginnings, but this time, he was joined by the priests. He was a king-like figure acting as one with the High Priest. Yeshua is king and high priest in one. The aim of the Torah (misleadingly translated as “the end of the Law” in Romans 10:4) is the Messiah who has become our High Priest. It teaches us about him and points us to him. It tells us how to recognize him, why we need him, and what he does for us. He is our Cohen Ha Gadol, our High Priest, albeit of a different order than the sons of Aaron. He is our new beginning and our rebirth. Remember, however, that it was not the priest alone included in the eighth repetition, but Moses and the High Priest together. Just as Jeremiah prophesied, the New Covenant brought by Yeshua does not leave Moses behind (Jeremiah 31:33). In the New Covenant, the God’s Law that was delivered through Moses (aka the Torah) is to be written on our hearts and no longer on stone. God still wants his people to keep his Torah, but we are not condemned by it because we are not under its authority. We are children of the King and obey his laws because we love him, not because we are afraid of the King’s sheriff. God gives us an enormous amount of freedom in how we are to live our lives, but as anyone who has lived long enough to outgrow the fiery idealism of our youth realizes, true freedom is not possible without some rules. Neither is love. A husband cannot say to his wife, “I will show my love for you by pouring red wine on all of your white blouses.” Well, I suppose he could say it, but I don’t think she would quite get the message he intended. Or maybe he could say, “Honey, I’m thinking of a very nice anniversary card and a set of beautiful diamond earrings.” Unless he followed his imaginings with happenings, they won’t be very well received. We frequently hear people say that it’s the thought that counts, but we all know that’s only true in very limited circumstances. It’s the thought plus the deed that really counts, and if the deed is carelessly executed, we probably can’t even say that the thoughts were all that great. If the husband in the examples above had poured his wife a glass of water (not on her blouse) and bought her a card and a bouquet of roses, then his grand intentions, however humbly expressed, would have counted for much, much more. 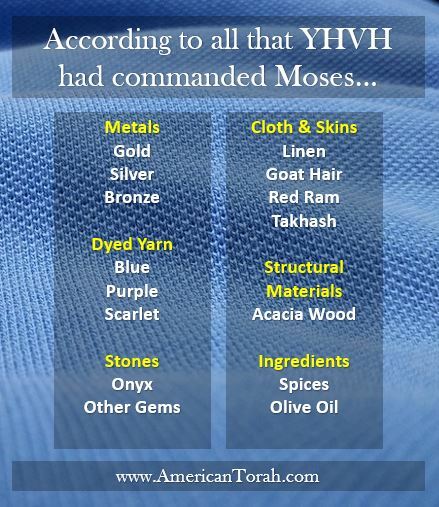 Several things are conspicuously missing from the list of the people’s contributions to the Tabernacle in Vayakhel (Exodus 30:11-34:35) and Pekudei: green, orange, and yellow yarn; iron and lead ingots; cowhides; marble and fossils; oak and ironwood. I am certain that some people wanted to give these things along with their gold and silver, but God was very specific about what materials could be used in his Tabernacle. Just like the man’s wife who didn’t want wine on her clothes, God didn’t want lead in his Holy Place. I can speculate all day and night about the spiritual significance of this or that metal and color, but it really comes down to this: God knows what he wants, and he doesn’t want just anything. If we love Yeshua, we will keep his commandments. Yeshua and the Father are one, and their commandments are one. If we love the Father, we will keep his commandments. We have the freedom to serve him and a lot of leeway in how we carry out his will, but we do not have the freedom to serve him in any way we choose. If we love God, we will obey his commandments. God doesn’t want us all to be missionaries to Borneo or to give him a million dollars. What he wants from each of us might be very different, but he always wants us to give him our best, and to give him what he asks. God especially wants our love, and he wants it by his rules, not ours. We don’t fit here anymore. What now? Speak to all the congregation of the people of Israel and say to them, You shall be holy, for I the LORD your God am holy. When Jeff first began to believe that he should be keeping the Sabbath the way that God instructed, on the seventh day of the week instead of the first, he did what many good Christians do: he asked his pastor for advice. Jeff’s pastor told him what he had been taught: Jesus canceled the Sabbath so we didn’t need to keep it anymore, and the Apostles moved the Sabbath to Sunday, the Lord’s Day, in honor of Jesus’ resurrection. When Jeff asked where that was in the Bible, his pastor could only point to where Jesus disagreed with the Pharisees about how to keep the Sabbath and where the first century believers consistently gathered on the first day of the week. He couldn’t point to any verse that plainly stated Jesus canceled the Sabbath or that the Apostles changed the day, nor why the Apostles would change the day of an observance that Jesus had canceled. The pastor asked him to keep these concerns between just the two of them, but the unanswered questions accumulated, and they came to frequently derail the intended course of discussions in the small group where he and his wife, Barb, met with other church members on Thursday nights. Some of the other members in that group also began to ask questions. Then there was a shouting match. Jeff and his family began lighting Shabbat candles just before sunset on Friday evening, and spending Saturdays together at home. Although they frequently helped clean up after services on Sunday, they stopped participating in Saturday work projects. They began feeling like outsiders in the church they had attended for many years. They no longer believed the same as everyone else on some significant issues. They couldn’t participate in some Friday night and Saturday events. Their attendance at Bible study was sometimes fractious and always resented by a few. Barb had begun asking awkward questions about every dish at church pot luck dinners. When the pastor called and asked them to meet with him again, he didn’t say what it was about, but Jeff and Barb both knew. They would either be asked to leave or to stop asking questions. Jeff wasn’t sure which would be worse. For both of them, the heartache started before they even got in the car. Their church wasn’t their home anymore. God is calling people all over the world to return to his instructions, to keep his Sabbaths, his appointed feast days, his rules for living, speaking, and loving. Some of those people call themselves Messianic Jews, some Hebrew Roots, Sabbath Keepers, or some other label. Most, like me, don’t fit cleanly into any of these groups. They only know that the churches are missing some vital aspects of the teachings of Jesus, the Apostles, and all of the Scriptures, and they’re trying their best to find those pieces and put them back into the puzzle where they belong. Over time, it becomes increasingly difficult to continue regular fellowship with those who have not yet heard the call or who have heard and rejected it without deafening oneself. To speak is to bring strife, but to remain silent seems like complicity in a lie. This degree to which this is a problem varies from one church to another. Some churches are little more than social clubs, and others barely make a pretense of Biblical doctrine. Jeff and Barb probably wouldn’t have lasted so long at one of those churches. 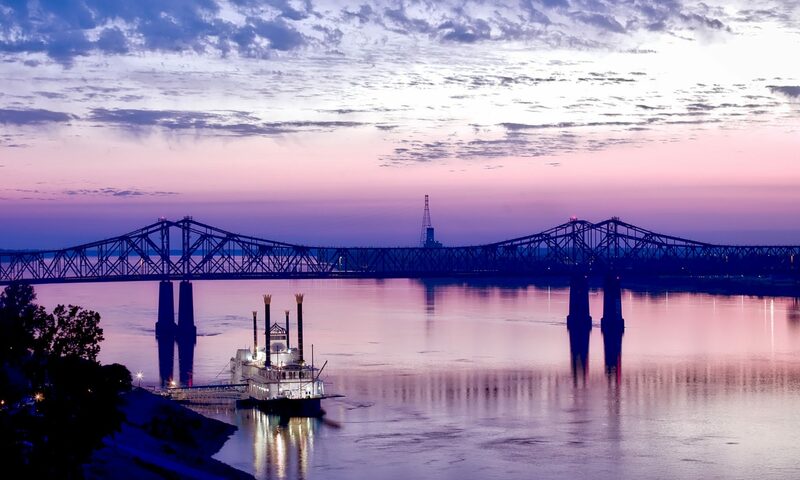 Some are much better–and therefore much harder to leave–and a few are very good, even to the point of openly tolerating us Hebraic misfits. If you find yourself in a situation like Jeff’s, I can’t tell you what you should do–every situation is different–but eventually, you will either have to transform your church or exchange it for something else. Becoming a spiritual hermit isn’t a viable option. People without community tend to lose their grounding. Without the balance of other believers and guidance of more knowledgeable teachers, their spiritual pursuits often become dominated by shiny object syndrome. They jump from one fringe idea to another with nobody to keep them anchored to reasonableness. Their understanding of Scripture becomes unbalanced, and their spiritual lives either stagnate or get lost in irrelevancy. We need community to be healthy by every conceivable metric. Internet teachings and live streams just don’t cut it. When you look for a congregation (I write “congregation” rather than “church” because many of them will use some other word.) that both recognizes Jesus as Messiah and keeps God’s Law, you might find a variety of options, or you might find nothing at all. Let me give you a brief rundown of what’s available. Seventh Day churches of various denominations. You’ve probably heard of the Seventh Day Adventist church, but there are also Baptists, Church of God, and even LDS (aka Mormon) churches which keep a seventh day Sabbath. If you are serious about keeping God’s instructions, these will come up short in time. They keep the Sabbath and the Biblical feasts to varying degrees, but usually stop there. They also tend to come with an amount of baggage related to false prophecies and extra-Biblical scriptures. Messianic Jewish. Technically, Messianic Jews are Jewish people who believe that Jesus (aka Yeshua) is the Messiah. They will call their meeting place a “synagogue”, and their services and operation range from Jewish to liturgical Christian. Other. These are the Hebrew Roots congregations, non-denoms, upstarts, rebels, and flakes. Since neither you nor I have the time to list every possible variation, I am forced to dump all that remains, good and bad, into a single category. Here you will find home fellowships, Black Hebrew Israelites, Torah-observant Christians, Sacred-Namers, and just about anything else that you could imagine. They will range from the outstanding to the diabolical, and it can be very confusing to sort through them. Here are a few warning signs to watch out for. Only the last one would be a total deal-killer for me. Your mileage might vary. The pastor/rabbi/leader has changed his name to sound more Hebrew or otherwise ethnic. They rely heavily on extra-Biblical writings, such as the Talmud, Books of Enoch, or Kabbalah. They keep a lunar Sabbath (a weekly Sabbath that drifts through the days of the week because it’s calculated from the new moon, not the historic 7 day week that the rest of the world uses). They believe the earth is flat. Run, do not walk, to the nearest fire escape. You will never find a perfect congregation nor meet another human being who agrees with you on every point. If you did, you probably shouldn’t be friends with them. Like many fruit trees need winter freezes, we need an amount of conflict and disagreement in our lives to be healthy. Identify what’s really important, and therefore what isn’t. A church or synagogue that promotes behavior God abhors, can be easily eliminated. If they calculate God’s feast days by the sighting of the new moon in Jerusalem instead of the astronomically calculated calendar used by the mainstream Jewish calendar, that might not be such a big deal. You’ll have to decide what your priorities are, as well as what they should be, and then act accordingly. The one thing you should not do is go it alone. 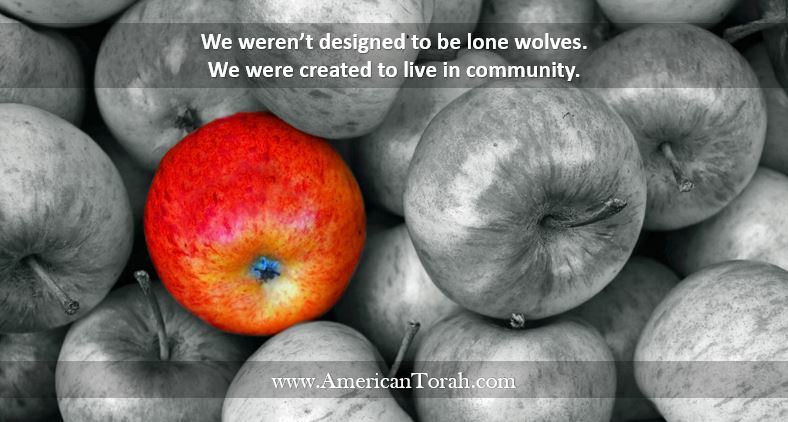 God made us to be communal creatures. His Law teaches us how to love, but only within the context of community. If a Methodist or an Assemblies of God church is the best option available in your area, don’t dismiss it. Go to church if that’s what God has provided, and then consider starting something new. Maybe God has placed you where you are for just that purpose. * I hate that I have to bring this up, but there is actually a lot of disagreement about how to spell and pronounce the Hebrew name of God and Jesus, and some people get very intense about it. I think these arguments are mostly wastes of time, but since they are out there, they need to be addressed, however briefly. The table below presents the various ways I have seen the names spelled. Those in the “Good” column are conventional and widely accepted by most historians and linguists. Those in the “Iffy” column are less likely to be accurate, but aren’t terribly unreasonable. Those in the “Nope” column are almost certainly wrong, and people who insist on them probably have much more serious problems. I strongly recommend avoiding congregations that insist there is one, and only one possible correct spelling or pronunciation of the divine names, and anyone who doesn’t use their version is a heretic. 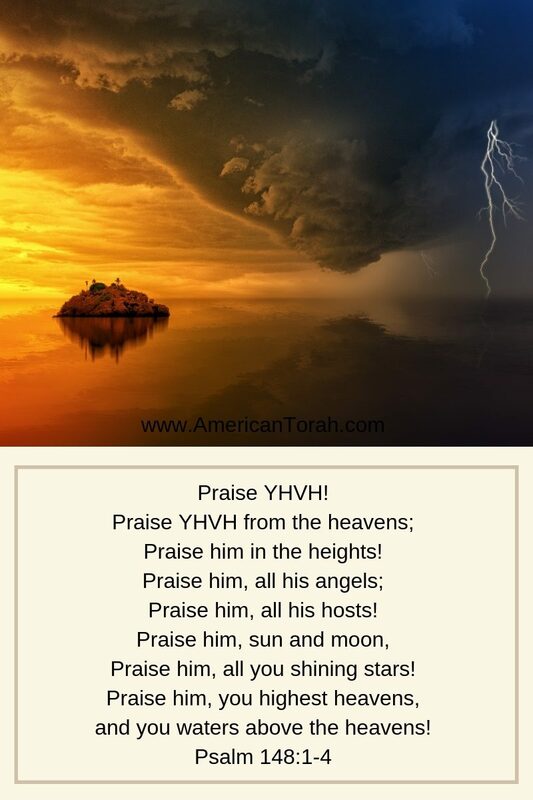 In Psalm 148, the Psalmist exhorts the heavens, angels, animals, hills, and even the weather to praise the name of YHVH. He spoke, and they were created in all their complex glory, therefore they ought to praise him, and they do! We humans, on the other hand, have rejected him, despised his instructions, hated one another, and killed his Son. If the sun and moon and all of these things which have no real will, which have never rebelled against God, ought to praise his name, how much more we, who have been forgiven so much, who have been created not once, but twice, ought to praise his name! Sing and speak of God’s glory, justice, and mercy. Praise his power to destroy, as well as his willingness to forgive. Most of all, praise his name by emulating him to each other. Keep his Law, which instructs in how to love. Live a righteous life. Be patient and understanding. Champion justice–God’s justice, not man’s perversion of it–protect those who are in your power, and be quick to forgive those who wrong you. Teach your children what it means to love God first and their neighbor second. The most effective way to express our gratitude to God for his grace, is to reflect his character into the world through our words and actions. You shall command the people of Israel that they bring to you pure beaten olive oil for the light, that a lamp may regularly be set up to burn. In the tent of meeting, outside the veil that is before the testimony, Aaron and his sons shall tend it from evening to morning before the LORD. It shall be a statute forever to be observed throughout their generations by the people of Israel. Sometimes I wonder if I am completely insane, because of all the crazy stuff I see in Scripture. Do you see the parable of the talents in this passage? The gifts of the Spirit? Homeschooling? Mentoring and apprenticeship? I see all of those things, and I wonder if I’m hallucinating. There are several different metaphors in those two verses. Olive oil is healing, comforting, enlightening, a picture of the Holy Spirit, the Ruach haKodesh, and beaten oil is deliberate refinement in/of/by the Holy Spirit. That this oil for the Menorah is to be supplied by the people is a picture of every faithful believer’s priestly role in God’s service. God has given everyone resources which they are required to use for the profit of his kingdom. We all have a gift, a calling, a special skill that can be made available to the Kingdom of God. Paul listed some of those gifts in 1 Corinthians 12, but he did not intend for us to take that list as comprehensive. He described three categories of contributions (gifts, services, and activities), and only expanded them in part. I believe that teaching and counseling could be included alongside faith and healing, as well as musical talent, mechanical aptitude, writing, and every kind of artistry and craftsmanship. With the right refinement, all of those things can be fuel for God’s Light in the world. Like its organic counterpart, the fuel God has implanted in each of us doesn’t come straight off the tree, ready to use. It must be harvested, pressed, and refined. Nor does it suffice to pour it into any lamp or onto just any fire. It must be channeled into the right reservoirs and tended by God’s appointed authorities. Parents, first of all, and then pastors, educators, priests, and people of all kinds of skill and talent are to instruct their successors in serving God and using their spiritual gifts to the profit of God’s kingdom. Men with special skill in the engineering of homes and office buildings must mentor apprentices into building to God’s glory. Those with extraordinary artistic talent must work with the next generation of painters, sculptors, dancers, musicians, etc., use their gifts in ways that enlighten God’s kingdom rather than corrupting it. God’s appointment of gifts is also like olive oil in this respect: it is counter-productive to isolate a single ingredient or aspect. Each person is a complex interaction of flaws and talents, and we need to seek a balance. While one of us might have a more beautiful voice than others, that isn’t a license to ignore character development in favor of breathing exercises. Olive oil is valued for its scent, flavor, color, and combustibility. It isn’t enough to achieve maximum caloric output. It must be an attractive, multi-dimensional output that allows God’s character to show through us. As the keepers of God’s olive grove–and we are all both keepers and trees–he will hold us responsible for how we managed his oil. Are you a talented musician who can play any instrument he touches? Then play for God’s glory, and use your talents to encourage other musicians to use their talents for God’s glory. Are you a leader who can take the full measure of a man in minutes? Then lead God’s people, identify the potential leaders around you, and mentor them also into righteous, productive leadership of God’s people. You are the priests in the tabernacle of your own family and community. 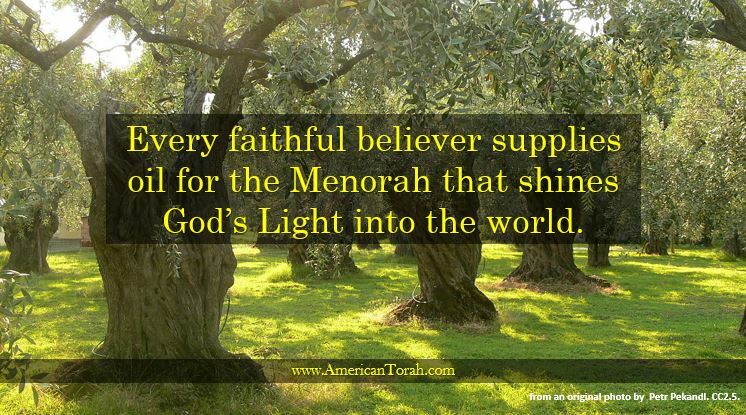 You are the people of God supplying the oil for the Menorah. You don’t possess even one skill or experience that is solely for your own benefit. God has entrusted you with a valuable treasure, and he will demand an accounting of it one day. He has not asked for volunteers, but has commanded every single one of us to produce or be cut off.